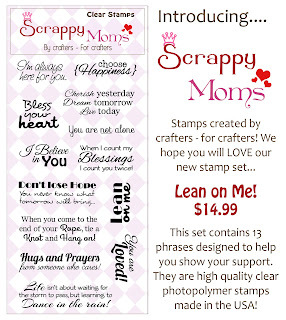 Scrappy Moms Stamps has released some new products today.....did you catch that?!?! Yes thats right I said 'products'! 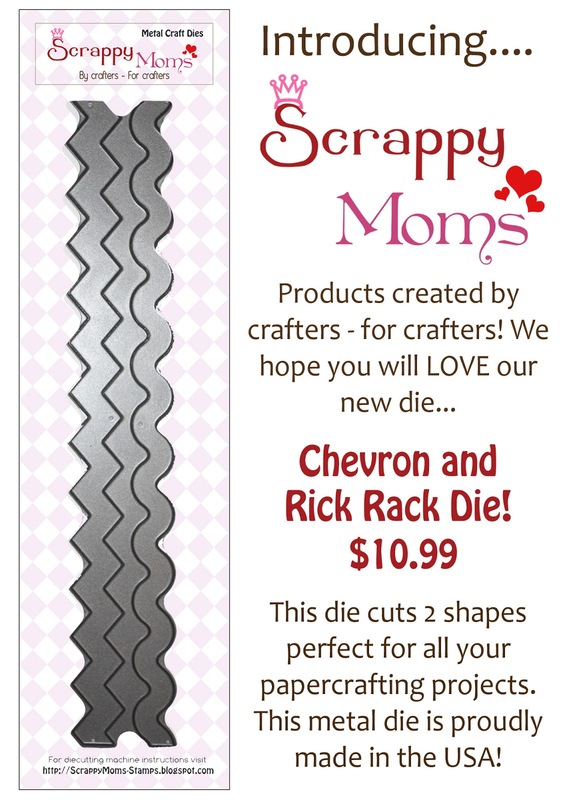 Scrappy Moms have released a new stamp set and a new die!!! Are they not fantastic?! 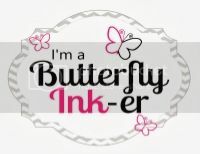 I'm in love with this die, as it can be used on so many things and the stamp set is a stamp needed in my collection! I used the chevron part of the die to crate the strips, I'm loving how this card came together! 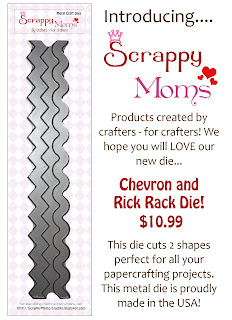 Be sure to check out the other fantastic creation by the other designers, simply click on their name in the right side bar. 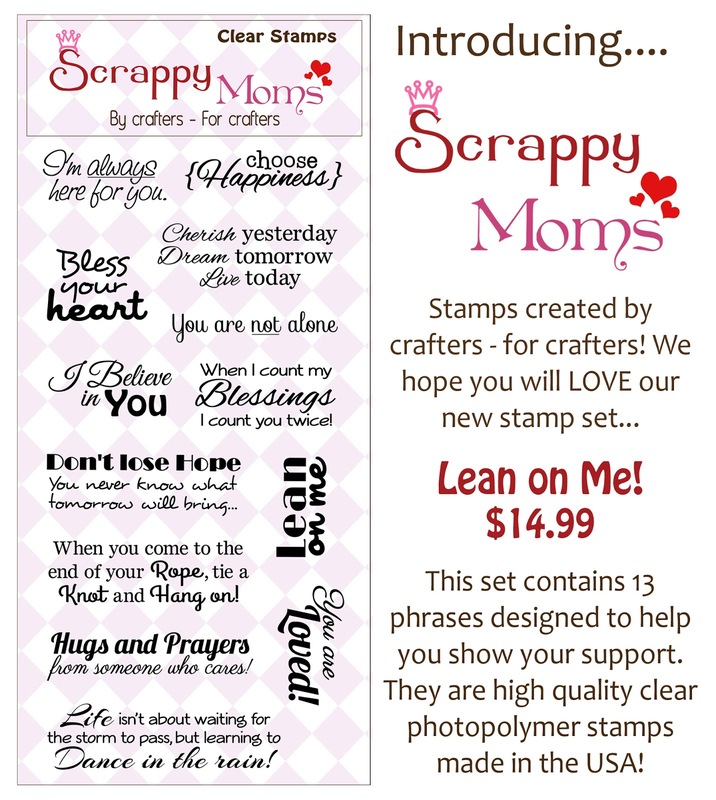 And hurry over to Scrappy Moms Blog to purchase your die and stamp set! Check back over the next week to view more projects using these 2 new products! So cute Trish , love all the flowers and patterns! The image is perfect for the sentiment! So adorable! 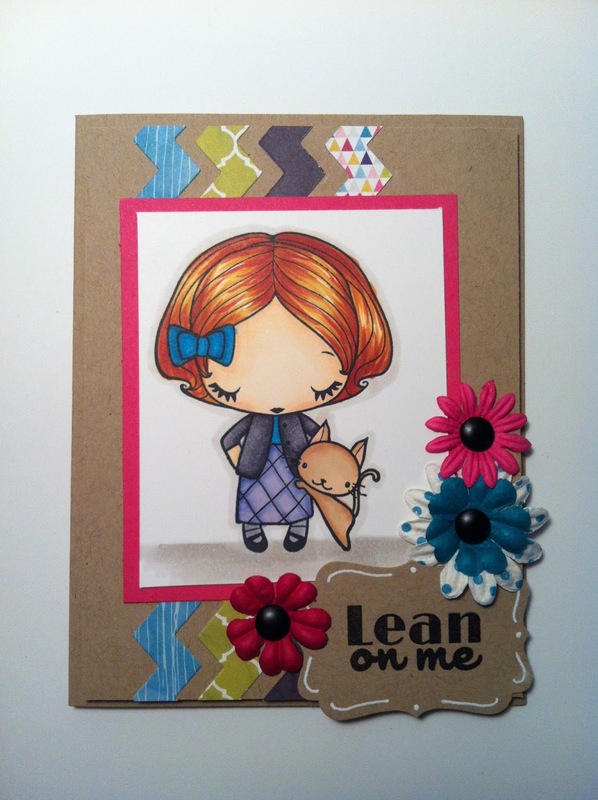 Adorable Trish.. love how this card came out!